It's My Mind: Would've liked to have seen this episode of Jeopardy! Would've liked to have seen this episode of Jeopardy! The computer brained its human competition in Game 1 of the Man vs. Machine competition on "Jeopardy!" but bombed on the final answer where the correct question was: What is Chicago? That Final Jeopardy answer: "Its largest airport is named for a World War II hero; its second largest, for a World War II battle." Both champs Ken Jennings and Brad Rutter knew the right response was Chicago. Watson, their IBM supercomputer nemesis, guessed doubtfully, "What is Toronto?????" It didn't matter. He had shrewdly wagered only $947. 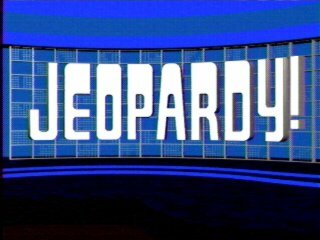 On the 30-question game board, Jennings and Rutter managed only five correct responses between them during the Double Jeopardy round that aired Tuesday. They ended the first game of the two-game face-off with paltry earnings of $4,800 and $10,400 respectively. Yeah why didn't I see that show whenever it aired? Congrats to IBM and Watson for their amazing achievement over the past few years. This is an incredible break through for technology andI anticipate great things from it. It is a shame how many folks seem to have a poor grasp on the complexity of the problem and consider this whole exercise "stupid". There will always be a troll for every subject.